The following article was written for Kojkkino , the theoretical magazine of the Greek organization DEA. Though quite long, it does not claim to cover all sides of the question. Indeed, it’s the kind of article that is never really finished and that has to be constantly reworked and supplemented. Its main objective is to stimulate collective thinking about the lessons of the successes and failures of the French New Anticapitalist Party (NPA) from its birth to the present day. Radical Left organizations in Europe have tended to focus their attention on the major political and electoral experiences that have stood out in the recent period – beginning with Syriza in Greece, Podemos in the Spanish State and the Left Bloc in Portugal, and often also Die Linke in Germany, Rifondazione Comunista in Italy, the Red-Green Alliance in Denmark (RGA) and others. This is entirely justified. Still, other attempts at “doing something new” merit analysis, even where successes were fewer or shorter-lived. They provide food for thought about a broader range of national contexts. The key thing is that the attempt to “do something new” must be real and not just cosmetic. 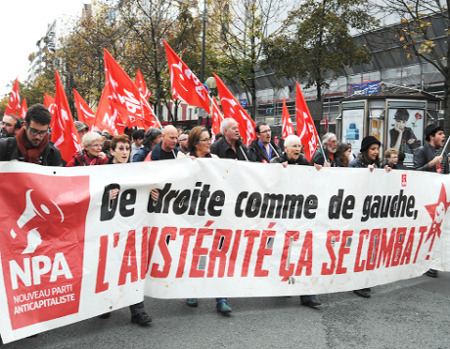 This was the case with the 2009 launch of the New Anticapitalist Party (NPA) in France. No doubt, the initiative was launched by the Revolutionary Communist League (LCR) on its own, but the LCR dissolved itself at a special congress. We knew, or at least a number of us did, that we were crossing the Rubicon. Whatever was going to happen next, it wouldn’t be possible to return to the past. Subsequent developments proved that there would indeed be no turning back. The LCR itself had been a framework for regroupment. There had been mergers and not just splits! But it remained a “dated” organization, seen as a product of the radicalization of the 1960s and 1970s. In France, and unlike Portugal and Greece, all recent attempts to build a “contemporary” political expression of mass struggle have flopped. No workers’ party founded in whole or in part by a class-struggle trade-union movement, unlike South Korea and Brazil (the early PT). No left-wing split from the Communist Party or Social Democracy of a sort to enduringly affect patterns of radical political action. No “off the beaten track” wide-ranging social movement that sparks a new “Indignados-Podemos”-type dialectic. In the face of such gridlock, the LCR chose to go down a path never travelled – that of rebuilding from the bottom up by putting out a call to interested individuals, activist teams and organizations for the building of a new anti-capitalist party. The call was so warmly received that Jean-Luc Mélenchon understood that the time had come to leave the Socialist Party (PS); he and his current created the Left Party (PG) immediately after. The two approaches were very different, with the NPA emerging out of a constituent process involving the huge number of local collectives created in response to the initial call. This has meant that we have been able to compare two different experiences since 2008-2009, one rather more innovative (the NPA), the other relatively conventional: the Left Front made up of the Communist Party (PCF), the PG and a number of smaller formations who have joined forces in the Ensemble! grouping. In November 2008, the South African journal Amandla! asked me for a piece on the reasons that led us to build an organization of a rather unusual type. Seven years on, we can look at how things have actually played out. In the remarks that follow, I focus a great deal of attention on the question of relations between political generations. Therefore I feel it might be useful to spell out exactly where I’m “coming from”. I joined the Fourth International while a student in 1965-1966 and participated in the founding of the Jeunesse Communiste Révolutionnaire in 1966 (and later of the LCR). From 1973 onward, I was active internationally for 20 years. After my return to France in 1993, I held a variety of positions but was never again a member of any national leadership body. This gives me a view from both the inside (with 50 years of continuity) and the outside (two decades during which I didn’t directly experience the incremental and then quite radical changes that my organization underwent). I was very supportive of the NPA project and continue to think that we were right to embark upon this daring new adventure. Debates in and about the NPA are often focused on tactical choices (and largely electoral ones at that). I look at an example below, but these questions are always complex and by definition very concrete and difficult to understand for those not well acquainted with the national context. In any case, this isn’t the key issue. All told, those to the left of the PS – the Left Front, PCF, PG, Ensemble! and the NPA, not to speak of smaller organizations – have deployed a wide variety of tactics and approaches. And yet all of these organizations are now in serious crisis. The reason the LCR truly wanted to “do something new” was that we were aware of how radically times had changed and of what this meant for party-building. That being said, we probably didn’t grasp all the implications of this – or the extent to which that while the underlying factors were universal in nature, they could sometimes assume particularly acute forms in France (and in Europe). A lengthy “interlude.” In the mid-1980s, my generation of activists within the Fourth International, of which the LCR was the French section, began to think through the strategic lessons of our experiences over the two decades that had passed since we first entered politics, often comparing notes with other far-Left currents. Though fully aware that the LCR was not the nucleus of the future revolutionary party, we hoped to keep the lessons of the 1960s to the 1980s alive until a new crisis would make them somewhat more topical again – a way of assessing the present without losing the memory of the past. A new crisis did indeed come, but the interlude had been too long. I didn’t personally realize this until after the 2010 passing of Daniel Bensaïd, whose stature and authority were immense. It became clear that he was the tree whose size hid the absence of a forest. The evolving continuity of Marxist thought and radical commitment was broken in France, perhaps more so than in other European countries. Coming just one year after its birth, Daniel’s death was a huge blow to the NPA. A breakdown of references. In private, we liked to say to one another that we were the “last generation of October” (1917 and 1949), and that it had been entirely natural for us to become part of the cycle of struggles inaugurated by the Russian and Chinese revolutions. Following the collapse of the USSR, failure of Stalinism and growing embourgeoisement of Social Democracy, young activists no longer related to history in the same way. The vast majority made a clean slate of history. To a certain degree, the precious experience of the World Social Forums and resistance to capitalist globalization was a new collective and international “foundational historic experience” for huge numbers of young people the world over. It helped us break out of our isolation (which had become unbearable by the early 1990s), to restore internationalism to its former glory, and to build a number of networks. But it ran out of steam before we could tackle the big strategic questions of the day together. The neoliberal order. We have yet to pay the full cost of our generation’s political defeat. Capitalist globalization and the neoliberal order have dismembered grassroots spaces, fragmented people’s consciousness (setting the individual against the collective), ravaged the social fabric, debilitated public policy, and brought “identities” into conflict with each other. The rules of the institutional game have changed. In the past, when the working-class movement brought three million people out into the streets, the French government would meet some of their demands. This is no longer the case and trade-union bureaucracies have not been able to deal with this newfound intransigence, just as they have been unwilling and unable to invest the required resources in organizing the precarious workforce. New social movements emerged in the mid-1990s, including organizations of the unemployed and the undocumented, housing rights, defense of those “with no rights and no say”, the catalysing role of women’s struggles (especially in 1995), to name a few. Radical Left political forces had to update their operating systems with the implications of all these ideological, social and institutional upheavals. No easy task! Among other things, it meant rolling out a new way of organizing around socio-economic questions, which is much harder than just changing political orientation. Social formation. In Europe, this necessary change in approach was bound to be particularly complex. People’s movements in “typical” Third World countries have to deal with the same paradigm upheavals as ours, and sometimes with generational gaps much wider than our own (especially between a generation engaged in armed struggle and the one that comes after it). Nevertheless, there is greater continuity with respect to organizing work. For example, their “quartiers populaires” (slums, informal sector, urban poor) existed before and continue to exist today. And they already have roots in these areas. In a number of European countries, including France, the discontinuity is striking. No organization had the know-how and experience required to organize the long-term unemployed, the precariously employed, poor and working-class neighbourhoods and the new urban poor. This was something that had to be learned, and we had to want to learn. Building a party? In France as in other countries, there is tremendous hostility toward political parties, especially among radicalized young people. In such a context, our call to build a new party seemed to be a pretty stringent criterion for self-selection. But it became quickly apparent that the very notion of a party had become so vague for so many that it couldn’t be much of a binding agent. At its founding, the NPA’s doors were flung wide open. Anyone who wanted to join could do so, and I don’t think we could have proceeded otherwise. We were surfing on the promising wave of optimism created by the extraordinarily successful 2002 and 2007 presidential campaigns of LCR candidate Olivier Besancenot. Some thought that we could occupy the entire political space to the left of the PS (which was preposterous) and that electoral success would continue well into the future. By the time the NPA founding convention was held, though, the wind had already turned. The party would have to be built against the current – with unexpected competition on “the left of the Left” (Mélenchon’s PG) and a raft of enemies who would stop at nothing to see us fail. We had to shift from building the “party that was possible” (consistent with its uneven levels of consciousness) to building the “party that was necessary” given that the future looked stormy, and actually turned out to be far more so than even the most clear-sighted among us feared at the time. This fundamentally decisive question was never seriously and collectively discussed. Only in France? Capitalist globalization, the end of superpower blocs, the shrinking of democratic spaces, geopolitical upheaval, the birth of new imperialisms and new forces of the far-Right, crises of “identity” and of citizenship, and on and on…. In retrospect, the change in period appears to have been even more radical than we had initially imagined – with the emergence of something new on the Left far more complex. What’s more, for us an important question formed the backdrop: France had seen huge waves of social struggle between 1995 and 2010, if not longer. For the most part, they ended in defeat. 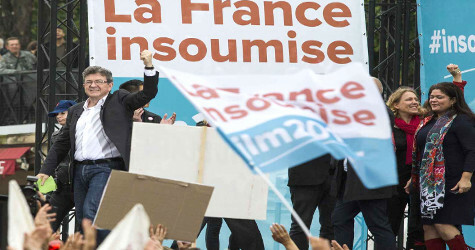 They were reflected (albeit belatedly) in elections, with reversals for the Right and election success for the LCR’s Besancenot, followed by the Left Front’s Mélenchon, and by Arlette Laguiller of Lutte Ouvrière (LO) before both of them, but lacking anything resembling the Indignados movement in its nature and impact. There are few European countries where struggles have taken place on such a scale and produced so little that is “innovative” and enduring. One possible explanation for this could be that the system of social protection, though continually attacked, remains in place and has made the rise of precariousness more gradual. It is still the case in France, for example, that unemployment rates decrease as levels of educational attainment rise. There is no mass phenomenon of “unemployed post-secondary graduates” as in Spain, let alone Morocco! Of course, things are changing. A major offensive against the Labour Code and regulations concerning public-sector workers is now underway in the wake of successive trade-union and social-movement defeats. Generations. Accumulating forces, setting down roots, internalizing experience and building social ties all require time, which in turn requires continuity between activist generations. This continuity has been severed for the reasons mentioned above, but also due to older political reasons specific to France. While the British got Margaret Thatcher, we got François Mitterrand. So much the better for us, you might think. Think again! Having been elected on a PS-PCF “common programme” that in today’s climate would be decried as irresponsibly ultra-left (not to mention a violation of EU treaties), the government made a sharp austerity turn in 1983. So the new neoliberal order was officially inaugurated under a government of the Left, led by the Socialists and with ministers from the Communist Party, still basking in the glory of their victory against a Right that had been in power for a quarter century. This made it easy to take the wind out of the sails of any resistance that appeared, and the 1980s saw a lull in recruitment to far-Left organizations. It wasn’t merely a question of numbers. Compared to the past, it was a period of partial and measured commitment. Student unions ceased to be wellsprings of political radicalism. Even within our own ranks, rejection of the post-1968 “model” was intense. However, the “model” that replaced it would prove to be completely unsuited to dealing with the depth of the contemporary social crisis. The LCR and then the NPA were actually the organizations where generational renewal of leadership went the furthest, with the “young mailman” Besancenot being the obvious symbol of this. This was a real step forward. Still, the generational divide was much in evidence during the crisis that shook the NPA a year after its foundation. The solution was obviously not to let “old-timers” hold on to the reins of power. Indeed, in a recent retrospective piece, Roger Martelli, a former leader of the Refondateurs current of the PCF and current member of Ensemble!, looks at the experience of the Left Front and concludes that the entrenched role of “old-timers” was ultimately fatal to the project. “We have to step back in order to continue. Only the younger generations will produce something new.” It would be interesting to compare the experiences of the NPA and the Left Front in this respect. We were in the midst of a rising wave of resistance struggles, with a number of features that were truly remarkable. In reality, though, the class relationship of forces was rapidly deteriorating. On top of this, our electoral success had catapulted us into “big league politics,” but given the reality of our organization and its social base, we were clearly punching above our weight. We had to take full advantage of the situation, but it couldn’t last. We felt the financial crisis of 2007-2008 would be a shot in the arm for anti-capitalism. In fact, it was a first missed opportunity; the call to topple the dictatorship of finance by making the banking system a public service never went anywhere. That should have been a warning signal. We had overestimated the momentum in favour of rebuilding something to the left of the Left. And we hadn’t grasped the difficulties we would confront as we tried to rebuild in a period of retreat. Optimism easily leads to triumphalism and to paying insufficient attention to questions of unity, political substance, organization and leadership. The initial founding process was a genuine success, confirming that the project corresponded to real expectation and hope. The NPA reached a paid-up membership of 9000 (not all of whom were necessarily active). Proceedings at the founding congress were remarkably serious. Basic political principles and provisional statutes were adopted. Former LCR members were barred from making up more than half of any leadership body on any level. In relation to the LCR, the numerical, geographical and social reach of the party was significantly greater. Left-labour leadership teams and “public figures” with whom we had traditionally worked declined to join the adventure, but others whom we often didn’t know as well did. The net result was a very diverse mix. Each collective was marked by the local activist landscape and the specific history that lay behind it. Groups and individuals (and especially the “public figures”) brought their idiosyncrasies, expectations, and in some cases, ambitions. They often expected that the NPA would provide national scope to their specific areas and methods of work. Some were banking on very strong and sustained election results, with Besancenot and the LCR’s strongest showings taken (rather unrealistically) as a minimum benchmark to be surpassed. Many had never had any previous experience in a political party. On top of this, the dissolution of the LCR enabled its internal factions and currents to spread their wings. This initial heterogeneity was unavoidable given the nature of the NPA’s constituent process. With no negative connotation intended, I like to use the image of a sack containing potatoes (the groups) and lentils (the individuals). The sack was the right size, but each time there was a little chaos, potatoes and lentils risked falling out. Facing the threat of a progressive loss of substance, the party had to increase its coherence, collectivization, unity and level of commitment. The NPA leadership relied upon the sacrosanct “momentum” I mentioned earlier to fulfill this task, leading to organizational spontaneism. Elections. Shortly after it was founded, the NPA had to face its first electoral test in the June 2009 European Parliament elections. The tactical and political coordinates of this contest were complicated. Both the Left Party and the NPA had just been launched and were in a phase of more or less triumphalist self-affirmation. And the question of alliances and inter-party relations was, and still is, not posed in the same way in the EU parliament as it is in the “normal” national one. As such, in 1999-2005 the LCR had been able to join the European United Left-Nordic Green Left (GUE/NGL) group in the EU parliament, which included LO and the PCF (though we were opposed to the PCF in France on the question of its participation in PS-led governments). At the time, the President of the GUE/NGL group was Francis Wurtz from the PCF, and the LCR was able to freely carry out its activities, often receiving the group’s support. I was employed by the group at the time and worked closely with Wurtz, especially around the Social Forums. The fact of the matter is that the European Parliament isn’t a real parliament sitting face-to-face with a real government. Its entire modus operandi is rather peculiar and it actually took us some time to get our heads around it. But who in France knows this? For the average person, European elections are just part of the French electoral cycle leading up to presidential and legislative elections. It was legitimate to imagine a more united approach in line with these specific features of the European institutions, but any such tie-up would have been seen as a model to emulate in subsequent specifically French elections. As a pre-condition for unity, the NPA therefore wanted agreement on maintaining complete independence from the PS and any PS-led “social liberal” government, including (and especially) in upcoming elections. It was ferociously denounced for its sectarianism and lost this political battle. Many say that the NPA was wrong to take such a stand. And yet today everyone knows that the Left Front has tied itself up in knots precisely around (among others) this question of relations with the PS. We very nearly elected one or two Members of the European Parliament (MEPs) in the 2009 EU elections, and this would have made a big difference in terms of credibility. Unfortunately, in such matters, even when you’re off by just a little, you’re still off. Close, but no cigar! The appeal of the NPA among left-wing activist sectors and “public figures” had suffered a serious blow. A missed opportunity. The NPA leadership (and that of the Left Front and, earlier, the LCR) was fixated on elections and political alliances to the left of the Left. In my view, this was an overly party-political and electoralist (or even short-sighted) ordering of priorities. The creation of the NPA gave us a vastly increased number of entry points into working-class neighbourhoods, providing an opportunity to begin to remedy one of our most important weaknesses. We could have brought together all these “entry points”: centres for the unemployed and precariously employed; shelters for battered women; teams of doctors and teachers working in “rough areas”; youth leaders from cultural centres and organizations involved in legal protection for youth and minors; social workers; anti-racist groups; movements of the undocumented and homeless and their supporters; and so forth. The point would be to exchange experiences, look at the demands of people living in these neighborhoods, find ways to help one another overcome difficulties specific to each area of activity, and determine which activist and community groups to strike alliances with (local organizations were hoping that the NPA would provide its support to help them repoliticize from within those areas that had become derelict as a consequence of neglect and political patronage, and so on. This work wasn’t done. The NPA established a commission on workplace intervention (which is now in crisis) even though a large segment of the wage-earning population (unemployed, precariously employed) can no longer be organized solely in this way. As for the “quartiers populaires” (poor and working-class neighbourhoods) commission, it sees its activity as being “theme-based” (and primarily focused on anti-racism). This means that no mechanism exists to think and act around building common and local organizations for the working-class population in these areas focused on the (largely socio-economic) demands raised by the residents themselves – in spite of the fact that an outsider relationship to these communities (which is not new) is one of the radical Left’s main weaknesses. Avignon. We paid a heavy price for this missed opportunity when the “Avignon crisis” erupted. An organization, AJC REV, led by Abdel Zahiri, had joined the NPA in Avignon. In the run-up to the 2010 regional elections, AJC REV got one of its members, Ilham Moussaïd, a Muslim woman wearing a headscarf, on to the NPA ticket for the Vaucluse district. With the exception of a handful of very localized examples, such a candidacy was a first in France – not because women of immigrant origin are absent from French elections and politics, but because they don’t wear the headscarf. This has as much to do with the specific history of immigration in France as with the extent of the country’s secularization. For example, no major party explicitly refers to religion, in spite of the very real influence of a deeply reactionary Catholic right-wing. It was to be expected that such a candidacy would attract national attention. I was in Pakistan at the time and saw the story in a local newspaper. My Pakistani comrades asked me if this was a good thing, and I answered that the sky was going to come crashing down on our heads. Moussaïd instantly became the most famous person in the NPA after Besancenot. Unfortunately, the organization was totally unprepared for this turn of events, with members even learning of the candidacy through the media. With Sarkozy looking to ethnicize the elections, we had wanted to counter this by focusing on socio-economic questions. So much for that! We were crucified by our many enemies who hurled groundless accusations at us. But we also faced a number of legitimate questions – including about the meaning of the headscarf for women’s emancipation – for which we didn’t have answers that had been collectively thought through and debated. One of the problems was that the AJC REV’s project was precisely to get a foothold in these neighbourhoods from a (Muslim) religious angle. Moussaïd’s name hadn’t been put forward because she had led a social struggle and just happened to wear the headscarf, but because the headscarf itself embodied the AJC REV’s political project. Once the said project came to an end in Avignon, Moussaïd left the NPA and took off her headscarf. Anti-oppression politics. Instead of taking the reality of poor and working-class neighbourhoods as a starting point, the stormy debate in the NPA prompted by the Avignon episode was highly ideological (and emotional). Every possible position was aired from “Get religion out of my sight – neither church towers nor minarets!” to arguing that the burqa (or full-face veil) is a symbol of the fight for women’s emancipation. Whatever the position put forward, among the thousands (or more) of e-mails and dozens of position papers, only a handful provided a well-constructed argument around crucial questions: how to connect and combine the fight against different forms of oppression (racist, sexist, socio-economic, and so on) and what approach to take to laïcité (secularism / separation of religion and state) in France today. The end result was an utterly chaotic national conference – a traumatic experience for the young party. One sidebar to the debate concerned its international ramifications. Are the Taliban anti-imperialists? One can hope that subsequent events have clarified everyone’s views on this matter. On everything else, the fault lines of the debate have not been erased and criss-cross practically all the NPA’s existing currents. Whatever the declarations of intent, people are often guided by a hierarchical approach to forms of oppression (ranking anti-racism over anti-sexism or vice-versa, for example), and this makes defending all the oppressed that much more difficult. Personalization. The presidential system in France takes the personalization of electoral politics to outrageous extremes. There isn’t even a vice-president. The mystical belief in France is that it’s about the direct relationship that exists between a man (so far it hasn’t ever been a woman) and the people. Besancenot’s personality and political talent gave the LCR, and then the NPA, an unusually broad political reach. He nonetheless refused to become a lifelong candidate (which is what had happened to the LO’s Laguiller) or to see the future of the French people and nation as being synonymous with his own (which is Mélenchon’s view of himself). And Besancenot was clearly right regarding the core of the matter. In May 2011, he announced that he would not run again for the presidency in 2012. Given the way things were going in the organization, his decision provoked a leadership crisis in the NPA and plunged the broader organization into a crisis that had only been latent up to that point. 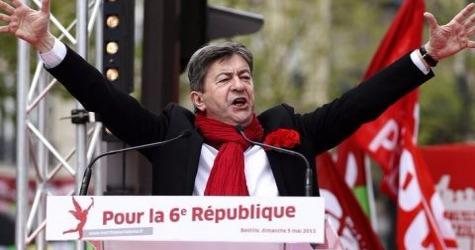 With election prospects as their weathervane, a significant number of former LCR cadres concluded that the future lay with Mélenchon and inside the Left Front. Split. The NPA took a huge blow. In total, it lost two thirds of its paper membership as a result of a constant trickle of earlier departures and the turmoil that followed Besancenot’s decision not to run. Most former members returned to activist and trade-union work while others left politics altogether. A new organization had been born, but not quite the one we had wanted. The 2011-2012 crisis split the central core of the former LCR leadership into two, and similarly affected top-notch organizing teams throughout the organization. Expecting nothing more from the NPA, a minority wing of the organization joined the Left Front initially as the Anti-Capitalist Left (GA) and then as co-founders of the Ensemble! current. Alas, the Left Front project itself was also plunged into a deep crisis. As for the Ensemble! current, it is bedevilled by contradictions – including around the issues of Islamism and electoralism – that are probably even more explosive than the NPA’s. In fact, the core leadership of the former GA has abandoned the perspective of building an independent “radical” organization – which was very much part of the LCR’s identity, and which remains something about which the NPA feels strongly. That being said, there are features common to “their” crisis and “ours” – in particular the chasm between leadership and rank-and-file activists. Leaderships have their own histories, so much so that local party activists increasingly have a life unto their own, one that is independent of national leadership bodies. This isn’t all very “political” if you reduce politics solely to questions of formal political orientation. It becomes very political, however, when you consider that questions of organization and commitment are eminently political, too. The currents, factions and blocs of the NPA delimit themselves primarily in relation to electoral issues and the electoral landscape: what “profile” to stand on, which candidates to run, what alliances to negotiate, and whom to call for a vote for when the NPA isn’t on the ballot, to name a few. To be sure, these positions reflect more “open” or more “closed” approaches on the ground, as well as different visions of the role our organization can play in the present context. Simply put, should we prioritize participation in the building of broad initiatives (on climate change, and against the state of emergency and revocation of citizenship, for example) or focus on demarcating ourselves and asserting our “anti-capitalist program” at every opportunity? Clearly, there are matters of substance involved in these quarrels. The problem is that they are posed in relation to electoral contests despite the fact that we are increasingly marginalized on that terrain due to the increasingly harsh requirements for those wanting to run in elections, a lack of financial means, and the ability of the far-Right Front National to attract support from those hostile to political elites. Pervasive factionalism. We wanted the NPA to be a melting pot, merging the historical contributions of a variety of revolutionary traditions (“critical” Marxism, left-libertarianism, and others). The basic principles adopted at the founding congress were only meant as a starting point and various undefined points and omissions (for example, the NPA doesn’t describe itself as a Marxist organization) were to be dealt with by synthesizing different viewpoints at a later date. But the programme commission never got off the ground. To top it off, the party incorporated organizations which had no intention of participating in a common project, seeking only to build themselves by taking advantage of the larger framework that the NPA provided. One thing leading to another, factionalism ended up undermining and crippling the leadership. The method of leadership selection is the problem here. In the NPA, the executive committee is established proportionally to the share of votes each tendency receives at convention. These tendencies perpetuate themselves, becoming factions (in those cases when they weren’t already from the start). Someone can end up in the national leadership for the sole feat of having been the ideological leading light of their current – which might be sufficient for penning press releases, but not for organizing and building the organization. This internal logic was already at play in the final days of the LCR and developed still further in the NPA. Factions are conservative. To survive they have to endlessly force the same debates around which they were established in the first place. If discussion takes off from a different angle – which is indispensable! – factions fragment in every direction. So they shut down an organization’s political and democratic breathing space. The first consequence of which is paralysis. A section of the NPA leadership has now theorized this state of affairs: they argue that our organization is in reality (or should become) a “front” of “revolutionary” groupings – the polar opposite of a melting pot. In response, some in the organization reject outright the right to form tendencies, even temporary ones, equating all of them with destructive factions. The melting-pot question also arose in the Left Front: Could individuals join the Left Front (as opposed to one of its member organizations) and could there be collective structures that gave them their rightful place? The answer on both counts was no. The Left Front remained a prisoner of its dependence upon the electoral jockeying of its founding parties, the CGT trade-union bureaucracy and the overbearing personality of Jean-Luc Mélenchon. Revolutionary? 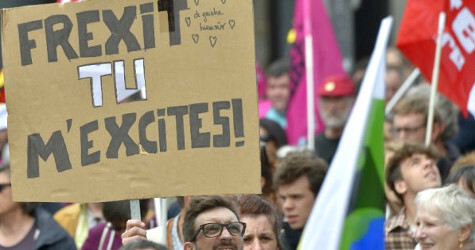 Independence from the PS and a determination to build a Left opposition to the Hollande government are important markers in the French context. They are essential to any political stance worth its salt. In a different way, promoting an “anti-capitalist” alternative over a solely “anti-neoliberal” one is also key; it has concrete implications in the here and now. It’s not just a matter of having the “correct programme” but rather of ensuring that the party we seek to build measures up to the deep and widespread hostility toward the “system” that has become an enduring feature of the social and political landscape. On the other hand, the formal distinction that some make between “anti-capitalist” and “revolutionary” is not politically relevant. Nor is endlessly repeating revolutionary mantras, meanwhile forgetting that the art of persuasion is just that – an art. More importantly, fine words won’t fool anyone. It’s just not possible to build “revolutionary” organizations – in the true sense of the term – in France (or Europe?) today. A party is not defined solely by its programme, however important the programme may be, but by its actual practise (which can be very far removed from its proclaimed intentions). Even defined very modestly, there can be no embryonically revolutionary practise in the absence of a sufficiently propitious social and political context. When such a context exists, the “daily life” of a member of a “radical” organization differs substantially from that of a member of a reformist party. This was true in the 1960s and 1970s, but stopped being so afterwards. No doubt, it will become true again – one day. Commitment. Seen from the here and now, the building of a revolutionary organization is something that lies on the horizon. But this doesn’t mean that we can continue as if it were business as usual. 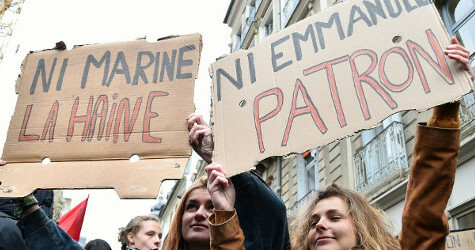 With the crisis, the rise of precariousness and the security state, the 1980s and 1990s French “model” of “à la carte” party activism is null and void. Repression is beating down on social and trade-union movements, general insecurity is engulfing growing sectors of the population, humanitarian disasters are increasing the world over, and the global environmental crisis is becoming a reality. At such a time, continuing on with the humdrum daily routine is a sure fire recipe for dooming ourselves to the margins – and ultimately for throwing in the towel. At the very outset of the NPA, the problem came up in relation to a very specific question. Not a single member of the core leadership of the former LCR belonging to the generation that had come to embody its project was willing to become a full-timer in the new organization. The point here is not to judge individuals – after all, it’s easier to make certain choices at the age of 20 than it is at 40 – but to raise a question that is collective in nature. We can’t always look to the “dynamic” of the broader situation. Without it, nothing significant is possible; but without deliberate organizational politics, the dynamic won’t magically solve all our problems. It was impossible to “steer” the building of the NPA without a small team making a 200 per cent commitment to the project, enabling the leadership team to function effectively. Of course, becoming a full-time staffer, even for a limited period of time, is not without personal consequences for the future. However, we are living in times when being “radical” demands activist commitments with lasting implications. In fact, a segment of youth is making such commitments ungrudgingly. For example, the “Zadists” who set up camp wherever there are “zones to defend” against “useless prestige projects.” Or those who have taken to farming in Notre-Dame-des-Landes against the building of a new airport – as many did in the 1970s on the Larzac plateau in southwestern France against the extension of a military base. NPA local committees are involved in these struggles, but the Zadists are extremely leery of political parties. Reassessment. The crisis of the NPA has revealed the scale of the crisis that was brewing in an LCR that had reached the end of its historical tether. It would have broken up in any case, even if we hadn’t attempted to produce something “new” – a highly instructive attempt, though one that has come to a significant initial failure. The 2011 split was a turning point. Division won out over enlargement, giving an even wider berth to sectarian groupings within the organization. Nothing has been the same since. Translation from French by Nathan Rao. A former senator and government minister, Jean-Luc Mélenchon was part of the left current of the Socialist Party and quit in 2008 following the Reims party congress. This collective work was done in particular at the “Amsterdam schools” of the International Institute for Research and Education (IIRE), which I directed from 1982 to 1993. A list has to get more than 5 per cent in a given region to elect a member. For example, for the poor, working-class areas of north Marseille, see ESSF (article 35710), “101 propositions pour les quartiers populaires de Marseille,” and ESSF (article 35711), “23 propositions des habitants des quartiers populaires de Marseille,” and for proposals from the Paris region, see the proposals of the AClefeu organization. The ESSF website has a number of pieces on this debate. Pierre Rousset is a former IIRE director, author of works on both East Asian politics and ecology, involved in international solidarity and editor of the website europe-solidaire.org. He is a member of the leadership of the Fourth International and a member of the NPA in France.